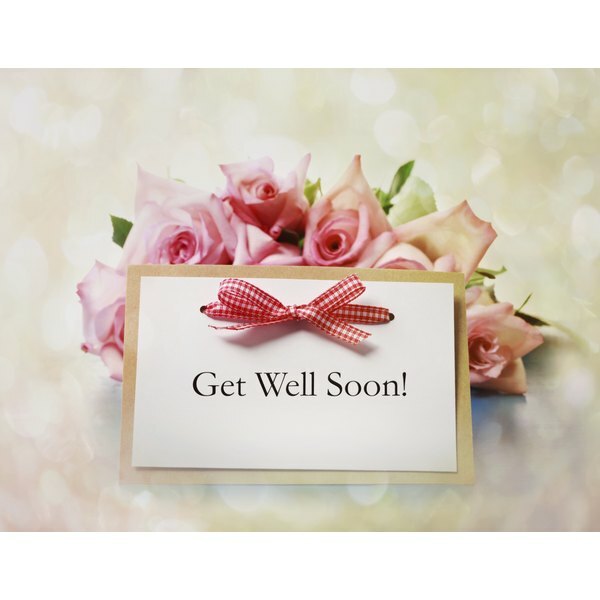 A Get Well Soon card on top of pink roses. A cancer patient, whether he has just received a diagnosis or are in the process of treatment, usually appreciates cards sent by coworkers, friends and family. 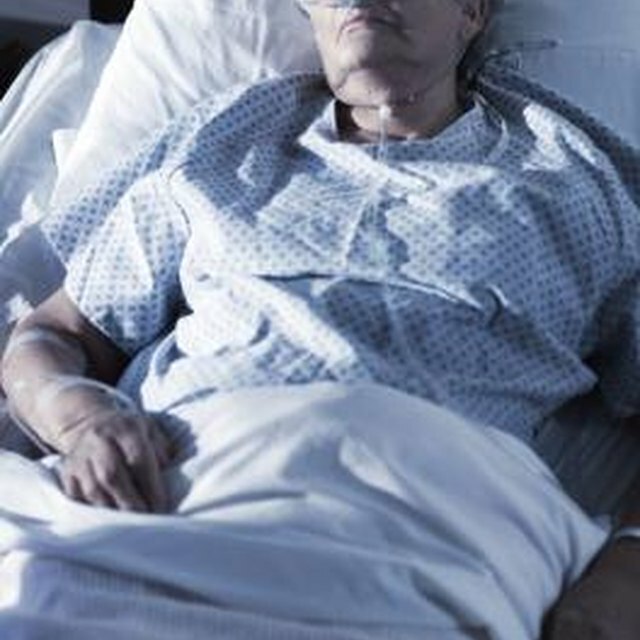 Someone who is in the hospital or confined to bed at home might get a physical and emotional lift from the reminder that people care about him and are thinking of him. There are get-well cards that express sentiments for almost any situation, including cancer. Some people may not send cards because they fear saying the wrong things. Retail cards that express traditional get-well thoughts are good options for those who are not sure if they can write an appropriate message. This also is the best choice if the patient is not a close friend, but an acquaintance or a coworker. Cards with religious or inspirational writings are appropriate to send to those who would appreciate those kinds of thought. Cards with a printed message accompanied by a handwritten note should not offend most cancer patients. The card should not be sympathetic in anything approaching a gloomy way. The recipient already knows she is going through a difficult time. She would rather read a brief, encouraging message than one of sympathy that dwells on the negative aspects of her illness. The most important thing card senders should do is write honestly. If someone does not know what to say, he can state that. An example of this would be, "I cannot find the words to express my feelings about your cancer diagnosis. I just wanted you to know that I think of you often and am praying for your recovery." This is a simple but sincere sentiment. Humor can be a good way to relay get-well messages to a cancer patient, especially if the card is for a close friend or family member. People who know each other well will know the patient's sense of humor and what amuses him. There are many humorous cards that are appropriate. Helping the patient laugh is a good way to lift his spirits.